Crta Nacional 340 Almeria-Aguadulce. El Palmer S/N, 04720 Aguadulce - roquetas de mar, Spanien. Hotel Playatropical is located in the quiet Bahia de El Palmer on the seafront. The hotel has 160 rooms, all of them with sea view. Customers will also enjoy a wonderful view from the reception, the hall bar, the restaurant bar and Palmer Bar. 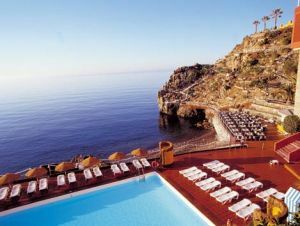 The hotel also offers two outdoor pools, a jacuzzi (just for over 16 years old) and a big solarium terrace just over the sea. The other one located close to the Bar El Palmer has water chutes, sun loungers and palms. The hotel also counts with a wide games area for kids and a complete enterntainment program.